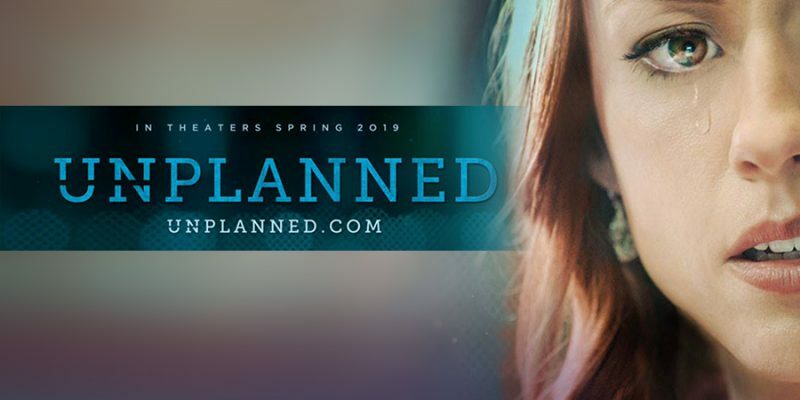 Despite receiving an unexpected “R” rating from the Motion Pictures Association of America (MPAA), the pro-life film “Unplanned” has exceeded expectations by bringing in more than $6 million in its opening weekend. The film follows the life of former abortion advocate turned pro-life activist Abby Johnson. It received a coveted “A+” rating from CinemaScore, a feat reached by only two films per year. At $6.4 million, the controversial film shocked critics by becoming one of the top five films at the box office on opening weekend. The film’s second weekend was also strong with a below average drop off in ticket sales of just under fifty percent, bringing in another $3.2 million. Unplanned’s debut gained even more momentum after Twitter shut down the account due to a technicality, further motivating supporters to go see the movie. The account was eventually restored and supporters jeered upon the film garnering more Twitter followers than Planned Parenthood’s account. Among those who contributed financially to the success of the film was American entrepreneur and MyPillow founder Mike Lindell who is rumored to have donated at least $1 million in production costs. Unplanned was developed by Chuck Konzelman and Gary Soloman who are also the creators of “Gods Not Dead”. For more information, visit www.unplannedfilm.com.